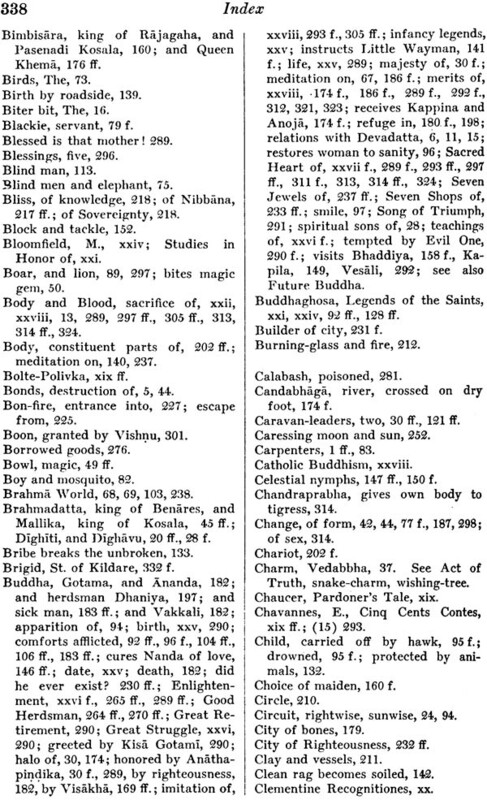 This volume contains upwards of two hundred similes, allegories, parables, fables, and other illustrative stories and anecdotes, found in the Pali Buddhist texts, and said to have been employed, either by the Buddha himself or by his followers, for the purpose of conveying religious and ethical lessons and the lessons of common sense. 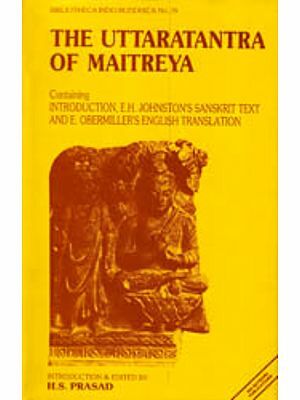 Much of the material has never before been translated into English. Chapters I-III contain parables drawn, with a single exception, from the Book of the Buddha's Previous Existences, or Jataka Book. This remarkable work relates in mixed prose and verse the experiences of the Future Buddha, either as an animal or as a human being, in each of 550 states of existence previous to his rebirth as Gotama. The textus receptus of this work represents a recension made in Ceylon early in the fifth centuries A.D., but much of the material is demonstrably many centuries older. For example, the stanzas rank as Canonical Scripture, and many of the stories (including Parables 4 and 14 and 27) are illustrated by Bharahat sculptures of the middle of the third century B.C. Parable 6 is taken from the Book of Discipline or Vinaya, and was very possibly related by the Buddha himself. 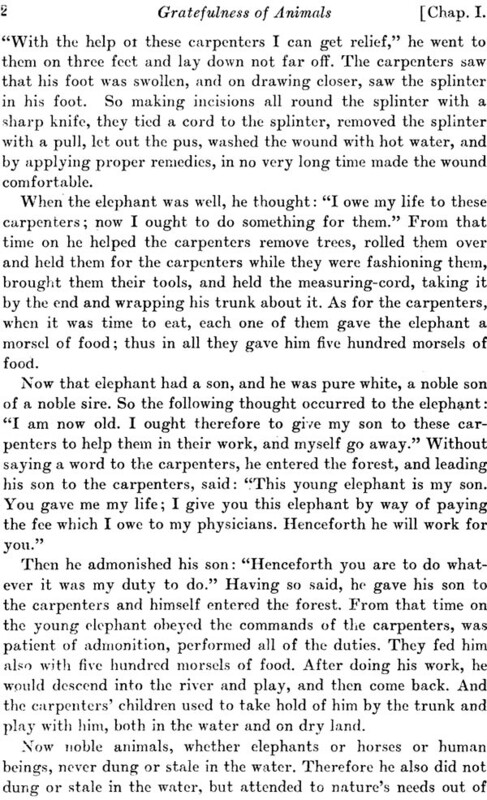 With Parable 1, The grateful elephant, compare the story of Androclus and the lion, and Gesta Romanorum 104. 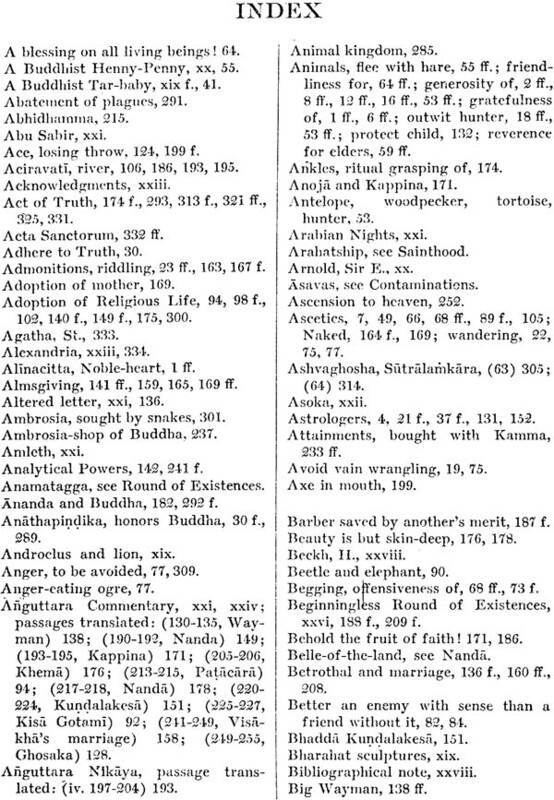 With Parable 2, Grateful animals and ungrateful man, compare E. Chavannes, Cinq Cents Contes 25; A. Scheifner, Tibetan Tales 26; Gesta Romanorum 119; and the following stories in Grimm, Kinder-und Hausmarchen: 17 Die Goldkinder, 107 Die beiden Wanderer, 126 Ferenand getru un Ferenand ungetru, 191 Das Meerhaschen. For additional parallels, see J. Bolte und G. Polivka, Anmerkungen zu den Kinder- und Hausmarchen der Bruder Grimm, Marchen 17, 62, 191. 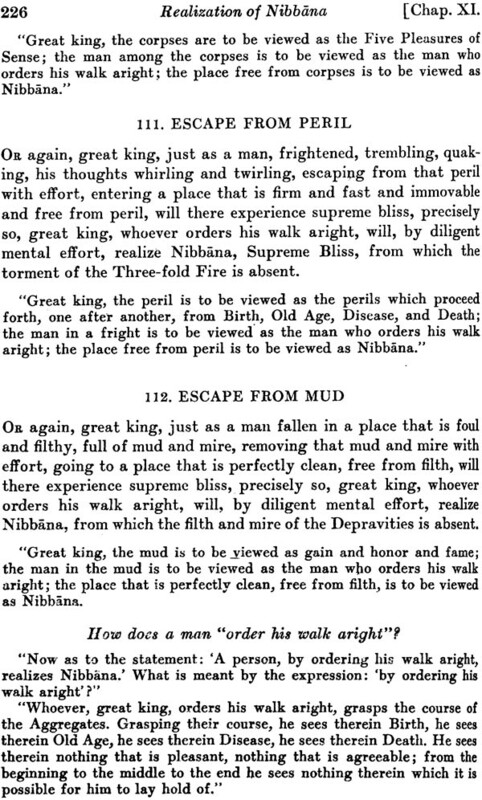 Parable 9, Vedabbha and the thieves, is the original of Chaucer's Pardoner's Tale. 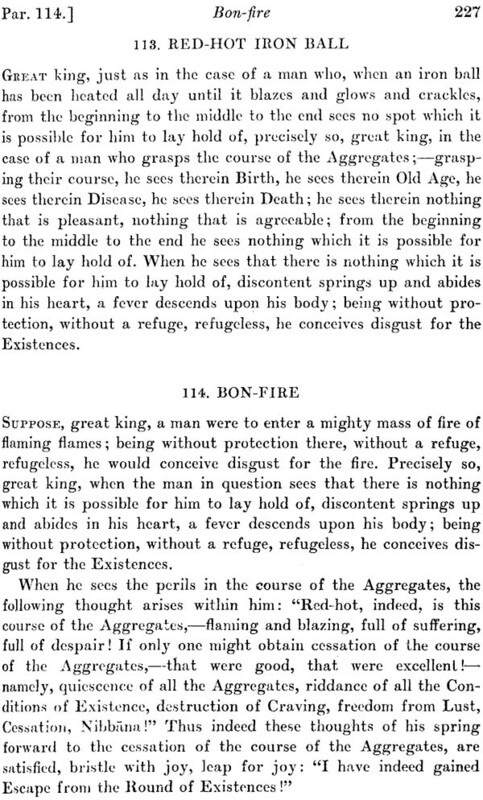 With Parable 10, A Buddhist Tar-baby, compare E. Chavannes, Cinq Cents Contes 89 and 410; also the well-known story in Joel Chandler Harris, Uncle Remus, His Songs and His Sayings. With Parable 13, Part 1, Gem, hatchet, drum, and bowl, compare Grimm, Kinder- und Hausmarchen: 36 Tischchen deck dich, Goldesel, und Knuppel aus dem Sack; 54 Der Ranzen, das Hutlein, und das Hornlein. For additional parallels, see Bolte-Polivka. 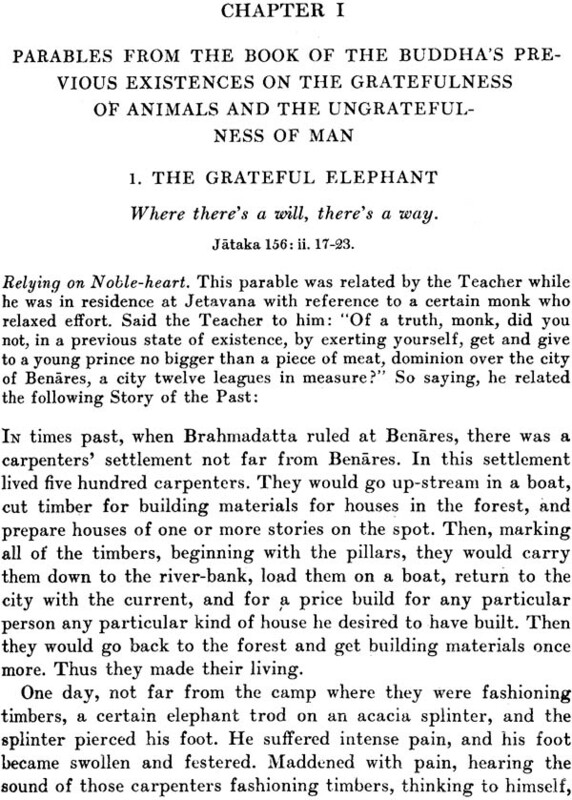 A more primitive form of Parable 15, A Buddhist Henny-Penny, will be found in A. Schiefneer, Tibetan Tales 22. Compare the well-known children's story of the same name. 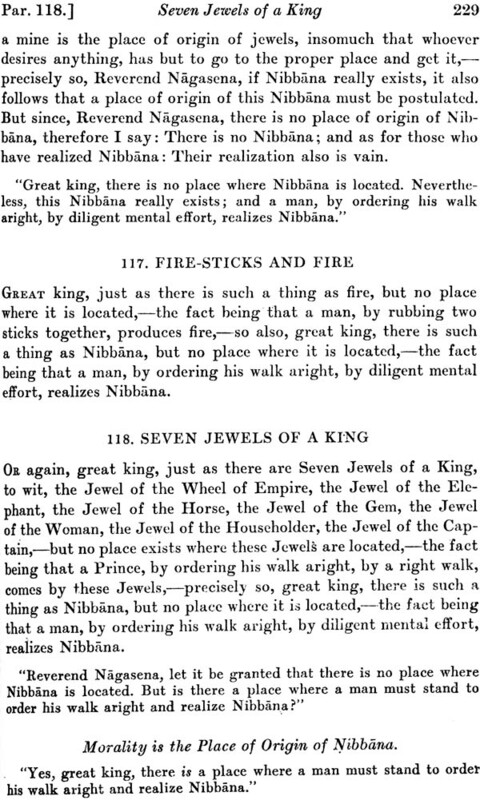 Parables 5 and 14 are the oldest known prototypes of Panchatantra, Book 2, Frame-story. 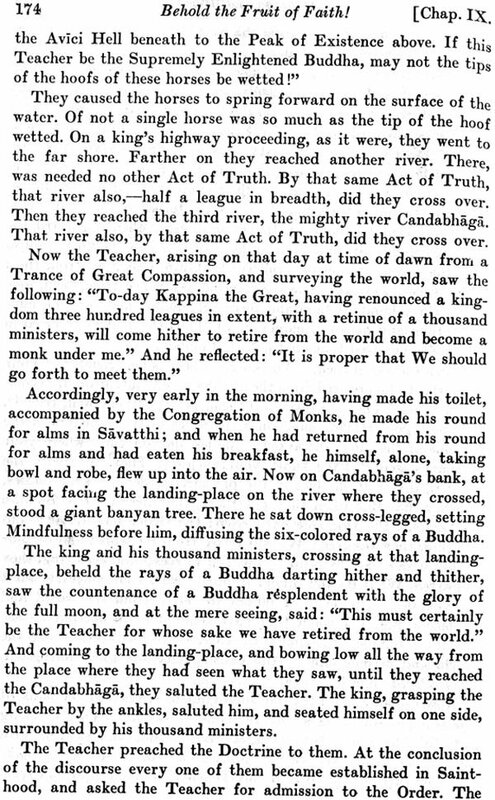 Chapter IV contains four specimens of Jataka parables in early and late forms. Compare also Chapter II, Parables 6 and 7; and Chapter VIII, Parables 45 and 47, with Chapter III, Parables 8 and 11, respectively. The reader will observe that in the earlier (Canonical) versions, the Future Buddha has not yet become identified with any of the dramatis personae. This material is offered as a contribution to the history of the evolution of the Buddhist Parable. Chapter VI contains several typical specimens of a variety of parable which will undoubtedly be new to many students of religious literature-the Humorous Parable. Chapter VII contains several specimens of Parables on Death. With Parable 30, Kisa Gotami, compare E. Chavannes, Cinq Cents Contes 224; Budge, Ethiopic Pseudo-Callisthenes, pp. 306-308, 374-376; Sir Edwin Arnold, Light of Asia, Book 5; John Hay, Poems, The Law of Death. A modern Burmese version of Parables 30 and 31 combined will be found in H. Fielding Hall, Soul of a People, pp. 272-278. 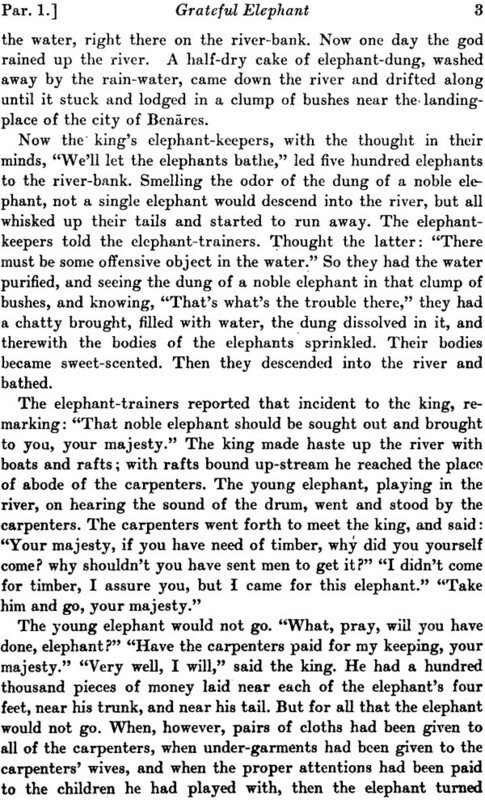 For a Tibetan version of Parable 31, Patacara, see Tibetan Tales, pp. 222-226. 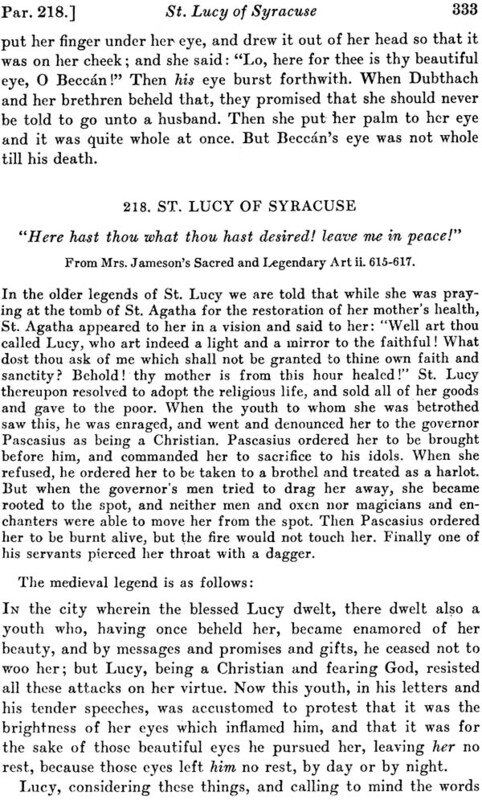 Parable 31 is one of the three principal sources of the legend of St. Eustace, the other history of this legend, see H. Delehaye, La legende de saint Eustace, Bull. De l'Acad. Roy. De Belgique (Classe des lettres), 1919, pp. 175-210. 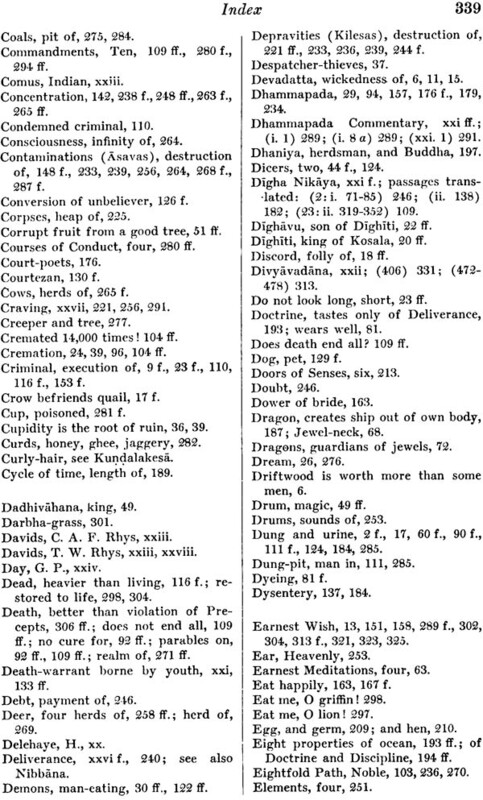 Compare the history of Faustus, Faustinus, and Faustianus, in the Clementine Recognitiones, 200 A.D. (outline in dict Chr. Biog., i. 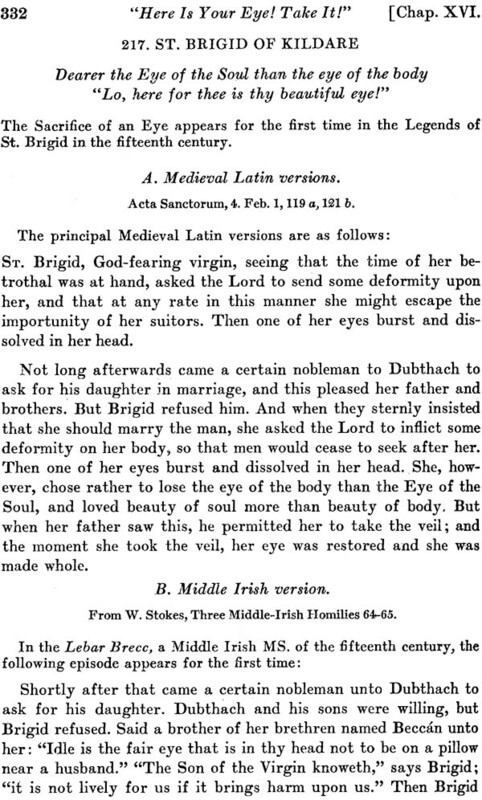 569-570); Gesta Romanorum 110; Golden Legend, St. Eustace; Early English metrical romance of Sir Ysumbras; and the story of Abu Sabir in the Arabian Nights (Burton, Supplemental Nights, i. 81-88). Chapter VIII contains, in the form of an imaginary dialogue between an unbeliever and the Buddhist sage Kumara Kassapa, a lengthy discussion of the subject: "Is there a life after death?" In order to refute objections advanced by the unbeliever, the sage relates thirteen remarkably fine parables, finally vanquishing his antagonist. The arguments pro and con are the same that have been used ever since men began to discuss this important subject. The dialogue forms one of the chapters of the Long Discourses, one of the oldest of the Buddhist books, but is quite modern in its freshness. 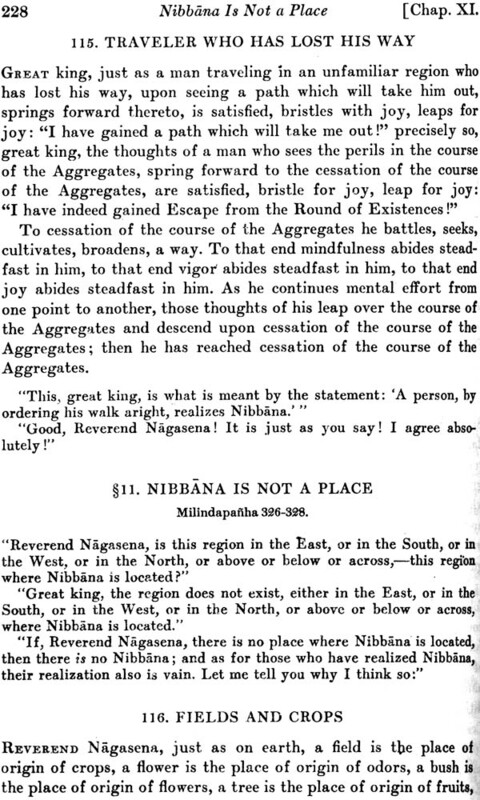 Chapter IX contains several parables from a commentary on the Anguttara Nikaya composed by Buddhaghosa in the early part of the fifth century A.D. The first two parables in Chapter VII are from the same source. 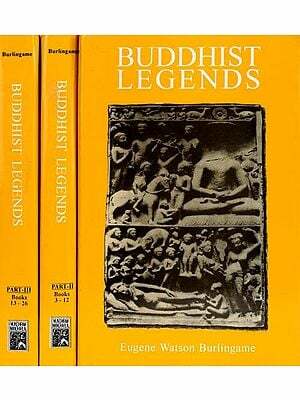 Parallels from a commentary on the Dhammapada composed by a contemporary of Buddhaghosa will be found in the author's Buddhist Legends. Parable 49, Ghosaka, has traveled all over the world. For the principal Oriental versions, see J. Schick, Corpus Hamleticum, Berlin, 1912. For an interesting Chinese Buddhist version, see E. Chavannes, Cinq Cents Contes 45. 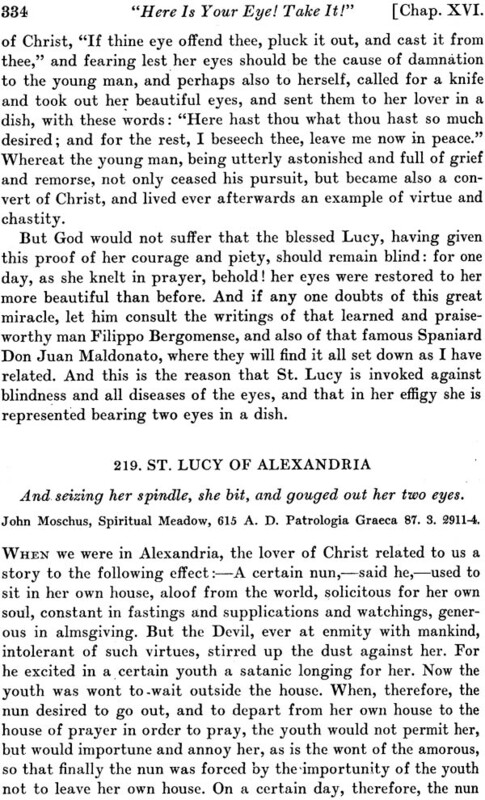 This story appears to be the source of the ninth century apocryphal legend of the seven marvels attending the birth of Zoroaster; se the author's paper in Studies in Honor of Maurice Bloomfield, pp. 105-116. For some interesting European derivatives, see Gesta Romanorum 20 and 283; Golden Legend, Pope St. Pelagius; William Morris, Old French Romances, Kinig Coustans the Emperor (thirteenth century); Schiller's ballad Fridolin; Grimm, Kinder- und Haus-marchen, 29 Der Teufel mit den drei goldenen Haaren. For additional derivatives, see Bolte-Polivka, i. 286-288. The story of Amleth in the Danish History of Saxo Grammaticus contains two derivatives, of which one is utilized by Shakespeare in Hamlet. Chapter X is a miscellaneous collection of parables from early sources. 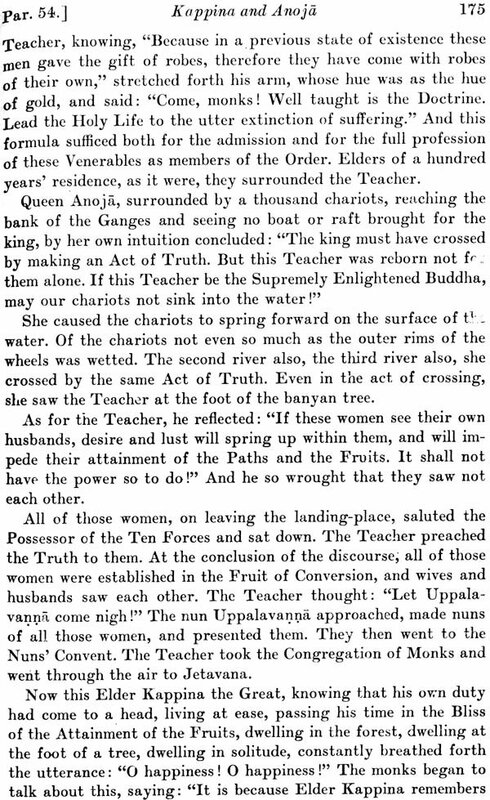 These parables are all much older than the beginning of the Christian era, and it is altogether probable that some of them, more particularly Parables 57, 58, 59, 60, 63, and 65, enshrine the very words of the Buddha himself is one,-Professor Charles Rockwell Lanman of Harvard University, Professor Maurice Bloomfield of the Johns Hopkins University, and the late Professor Morris Jastrow of the University of Pennsylvania. Through his exercises in the Fables of Bidpai, the late Professor Jastrow first opened my eyes to the immense possibilities of this body of literature. In innumerable ways, such as will readily suggest themselves to those who knew him well, he assisted me in my work, and through his untimely death I have suffered a profound personal loss. Under Professor Bloomfield I studied for many years, and through his exercises in the Vedas, in the fiction-collections of India, and in Comparative Grammar, laid the foundations of a sound philological method. Professor Lanman first opened the Pali texts to me, and did more than any other to assist me to interpret them. It is not only a duty but a pleasure to record my indebtedness to these three distinguished scholars. I am greatly indebted to M. Andrew Keogh, Librarian of Yale University, and to Mr. James I. Wyer, Director of the New York State Library, for generous facilities accorded me in the loan of books. I am also under obligations to Professor Lanman for the loan of a rare copy of Buddhaghosa's Anguttara Commentary, Colombo, 1904. 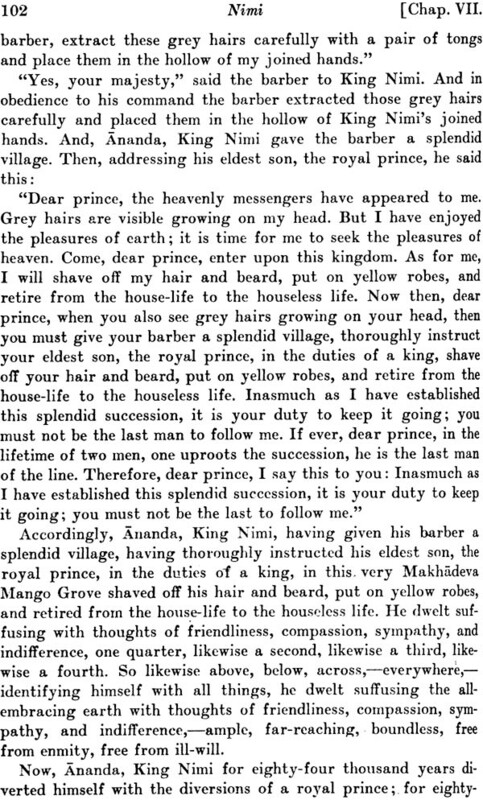 It is from this text that the translation of Buddhaghosa's Legends of the Saints have been made. Last, but by no means least, my most hearty thanks are due to Mr. George Parmly Day, President of the Yale University Press, for invaluable assistance rendered in connection with the execution and publication of the book. 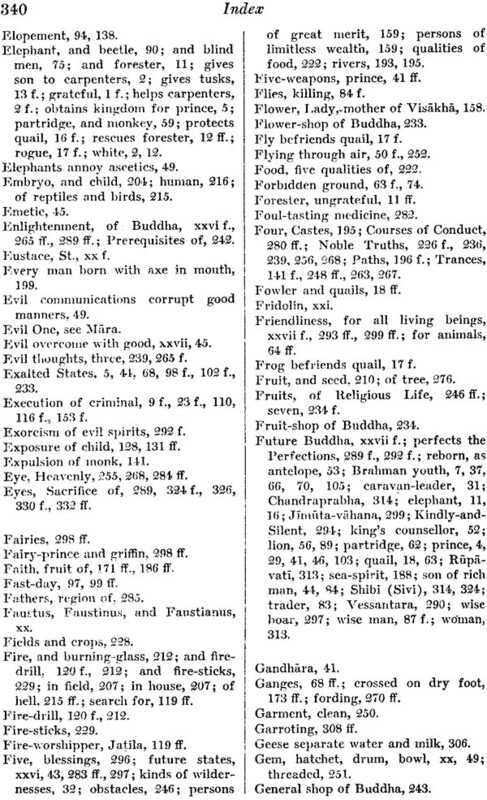 This book contains upwards of two hundred similes, allegories, parables, fables and other illustrative stories and anecdotes, found in the Pali Buddhist texts, and said to have been employed, either by the Buddha himself or by his followers, for the purpose of conveying religious and ethical lessons and the lessons of common sense. The book is thus a collection of specimens of an unusually interesting type of literary composition; a text-book of the teachings of the Buddha, presented just as the Buddha and his followers presented them, by discourse and example; and a collection of good stories, all in one. It contains much that will interest children; it also contains much that will puzzle the profoundest philosopher. Gotama Buddha was born nearly twenty-five centuries ago in the city of Kapila, in North-East India. 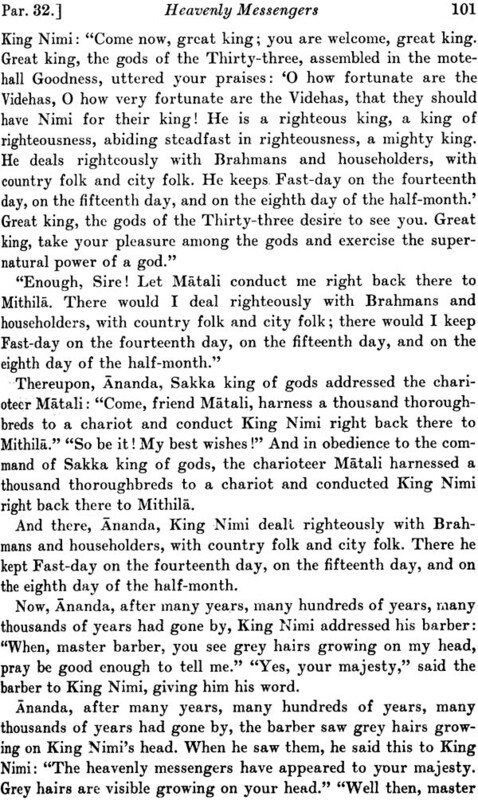 Kapila was the principal city of the Sakya tribe, and his father was king of the tribe. Gotama was his family name. Buddha means Awakened or Enlightened, that is to say, awakened or enlightened to the cause and the cure of human suffering. The Buddhist Scriptures tell us that when Gotama was born, the agnels rejoiced and sang. An aged wise man inquired: "Why doth the company of angels rejoice?" They replied: "He that shall become Buddha is born in the village of the Sakyas for the welfare and happiness of mankind; therefore are we joyful and exceeding glad." The wise man hastened to the king's house, and said: "Where is the child? I, too, wish to see him." They showed him the child. When he saw the child, he rejoiced and was exceeding glad. And he took him in him arms, and said: "Without an equal is he! foremost among men!" Then, because he was an old man, and knew that he was soon to die, he became sorrowful and wept tears. 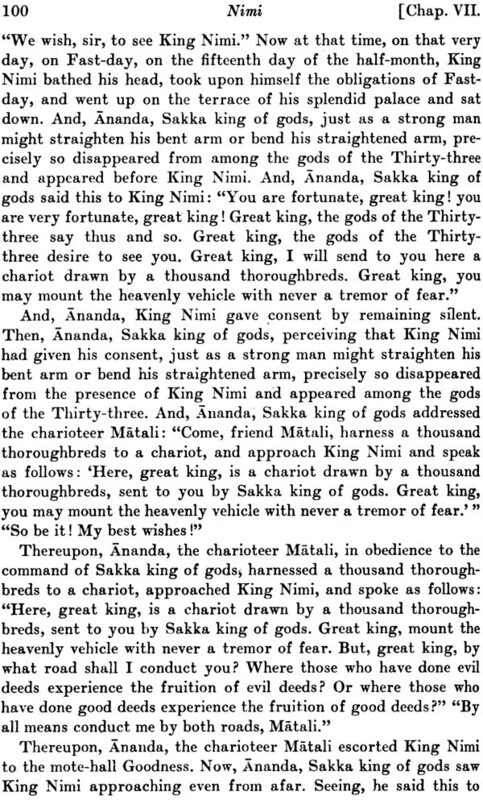 Said the Sakyas: "Will any harm come to the child?" "No," replied the wise man, "This child shall one day become Buddha; out of love and pity for mankind he shall set in motion the Wheel of Religion; far and wide shall his religion be spread. But as for me, I have not long to live; before these things shall come to pass, death will be upon me. Therefore am I stricken with woe, over-whelmed with sorrow, afflicted with grief." 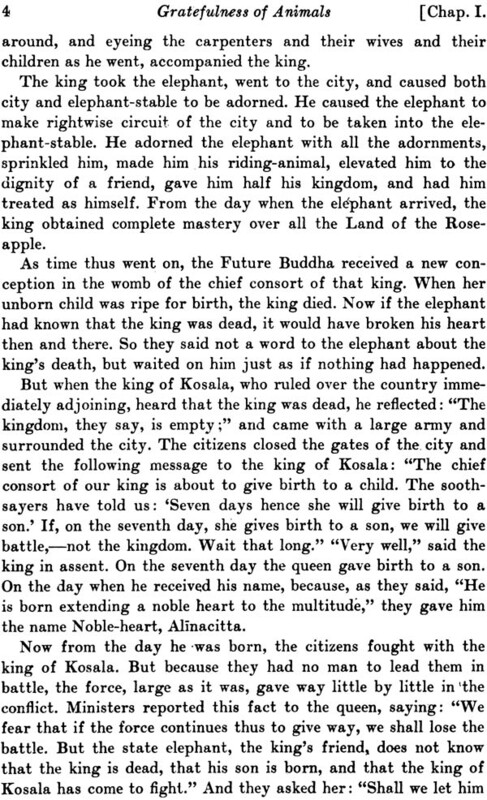 Seven days after Gotama was born, his mother died, and he was brought up by his aunt and stepmother. When he was nineteen years old, he married his own cousin. For ten years he lived a life of ease, in the enjoyment of all the comforts and luxuries which riches and high position could give him. When he was twenty-nine years old, a change came over him. Said the Buddha: "In weeping over the death of sons and daughters and other dear ones, every person, in the course of his past lives, has shed tears more abundant than all the water contained in the four great oceans." And again: "The bones left by a single person in the course of his past lives would form a pile so huge that were all the mountains to be gathered up and piled in a heap, that heap of mountains would appear as nothing beside it." And again" "The head of every person has been cut off so many times in the course of his past lives, either as a human being or as an animal, as to cause him to shed blood more abundant than all the water contained in the four great oceans." Nothing more terrible than this can be imagined. Yet for many centuries it has been a common belief in India. Wise men taught wished to avoid repeated lives of suffering and misery, he must leave home and family and friends, become a monk, and devote himself to fasting, bodily torture, and meditation. Leaving home and wife and son, he devoted himself for six years to fasting, bodily torture, and meditation. Finally he become convinced that fasting and bodily torture were not the way of salvation, and abandoned the struggle. One night he had a wonderful experience. First he saw the entire course of his past lives. Next he saw the fate after death of all living beings. Finally he came to understand the cause of human suffering and the cure for it. In the course of time it came to be believed that Gotama had become Buddha as the fruit of good deeds performed in countless previous states of existence, especially deeds of generosity. At any time, had he so desired, he might have uprooted craving for worldly pleasures and life and riches by meditation, and thus have escaped the sufferings of repeated states of existence. But this he deemed an unworthy course. Out of pity and compassion and friendliness for living creatures, he preferred to be reborn again and again, to suffer and to die again and again, in order that, by the accumulated merit of good works, he might himself become enlightened and thus be able to enlighten others. In comparison with the career of the Future Buddha, devoted to the performance of good works, unselfish, generous to the point of sacrificing his own body and blood, the career of the monk, isolated from the world, selfish, seeking by meditation to uproot craving for worldly pleasures and life and riches, seemed low and mean. The disciple began to imitate his Master. Thus began the Higher Career or Vehicle of Mahayana or Catholic Buddhism, as distinguished from the Lower Career or Vehicle of the more primitive Hinayana Buddhism of the Pali texts. 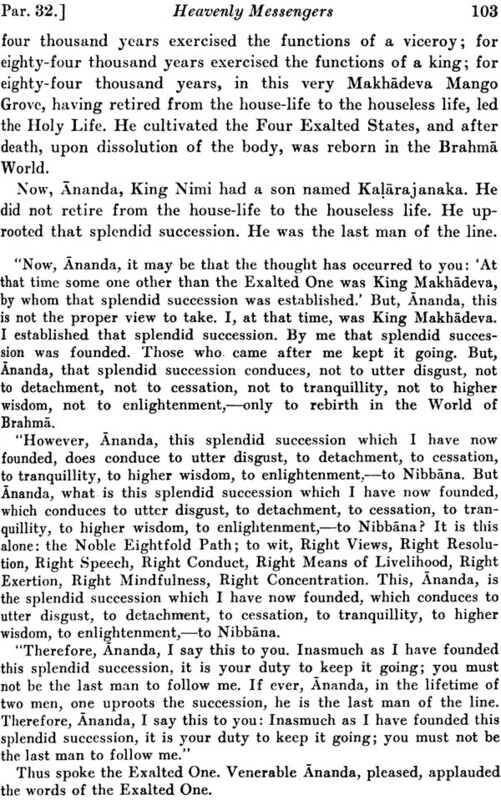 Thus did the quest of Buddhahood supplant the quest of Nibbana. This development took place long before the beginning of the Christian era. A blessing upon all living beings! Cremated fourteen thousand times in one place ! Why weep for eighty-four thousand daughters? Chapter VIII. Parables from the Long Discourses on the subject: "Is there a life after death?" Behold the fruit of faith ! Thou art a Treasury of Merits ! Mine eyes have I torn out! My heart's flesh have I uprooted ! Blessed indeed is that mother, whose son is such a one as he ! I will satisfy the hunger of my friends with my own body and blood ! Eat me, O lion ! Eat me, O griffin ! I am ready to sacrifice my body to preserve the life of this goose ! Only that I might attain Supreme Enlightenment ! Here is your eye! Take it! Should any man name my eyes, I will pluck them out and give them to him! Plucked out, the eye of flesh; but gained, the Eye of Knowledge! Lo, here for thee is thy beautiful eye! Here hast thou what thou hast desired! Leave me in peace! Behold the eyes that thou desirest! Take them, and leave me in peace!